Clevelanders for Public Transit meeting at Antioch Baptist Church (6/23/2016). After the resignation of RTA Board Chairman George Dixon yesterday, the local transit advocacy group Clevelanders for Public Transit is calling on Cleveland Mayor Frank Jackson to consider appointing a regular transit rider to the RTA Board. "For RTA riders, [Dixon's resignation] comes at a critical time when RTA should be building trust and support for expanded funding within Cuyahoga County," the organization said in a statement. "It is imperative that Mr. Dixon’s resignation be met with a sincere commitment to positive change within the organization and its Board." CPT said that Dixon's seat isn't the only vacancy to consider. The terms of both Reverend Charles Lucas (a city appointee) and Former East Cleveland Mayor Gary Norton (a Cuyahoga County appointee) expire this month. 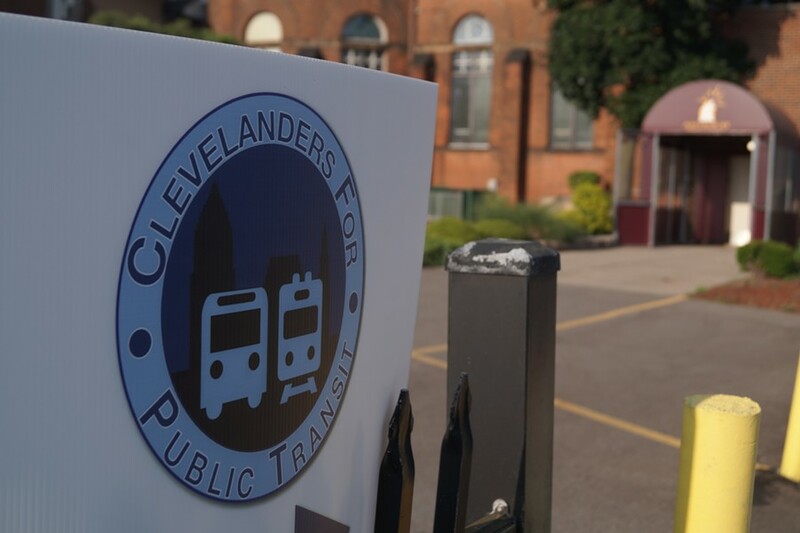 City of Cleveland and Cuyahoga County to appoint at least one regular RTA rider to the Board of Trustees," the organization said. "[CPT] looks forward to working with RTA’s Board of Trustees and RTA staff to transform RTA into a high-performing organization that lives its values, is worthy of public support and serves the interest of RTA riders." A CPT spokesperson told Scene that those making appointments should look for a board candidate who's serious about supporting the passage of a levy and public services, "and is a proven responsible steward of public money."